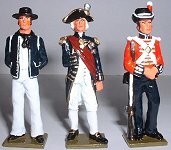 The Hussar 54mm range consists of: Medieval figures, Napoleonics, Nelson's Navy, Prussian and German Armies, SS/SA, Highland figures and others, in both mounted and foot figures. This search/shop page is for the Hussar catalogue. 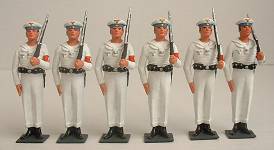 For the Fusilier catalogue, please go to Fusilier Search/Shop. For Tommy Atkins go to Tommy Atkins Search/Shop.